July 24, 2018 | Palo Alto, California: MetricStream today announced that the company has been positioned as a Leader in the Gartner Magic Quadrant for Integrated Risk Management, authored by Gartner analysts, John A. Wheeler, Jie Zhang, and Earl Perkins, and published on 16 July 2018. MetricStream believes that its commitment to innovation in integrated risk management, coupled with its focus on customer experience, support, and time-to-value are reflected by its inclusion in the Gartner report. The company’s unified platform and apps address multiple use cases of integrated risk management, enabling organizations to gain a holistic view of risk, and thereby strengthen decision-making and business performance. In today’s digital age, where new and higher levels of risk continue to emerge, enterprises are under constant pressure to make faster, risk-informed business decisions. MetricStream’s M7 platform and apps for integrated risk management enable enterprises to build a pervasive culture of risk awareness across the three lines of defense, while empowering decision-makers with the risk intelligence and analytics they need to drive growth and success. Leading organizations choose the M7 platform and apps for their cloud-ready architecture, simple and intuitive design, configurability, and scalable risk data foundation. 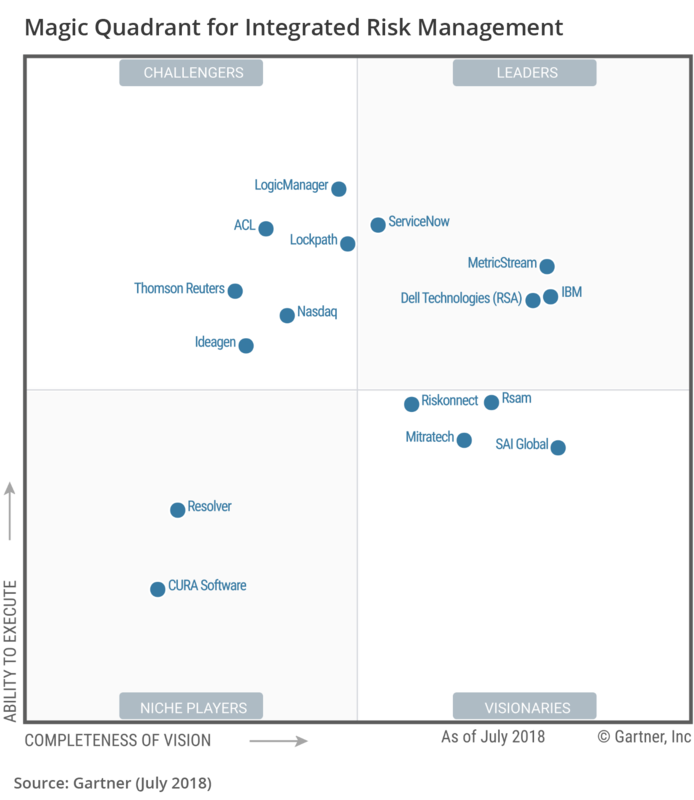 You can access a complimentary copy of the Gartner Magic Quadrant report here.